As purchasing managers, we’re always on the lookout for more from our packaging solutions. We want to ensure our packaging is good quality and efficient, but we also want to be in complete control of the costs. There can be multiple problems faced when trying to find the right balance between the two. What’s the best way to go? We’re here to compare and contrast the pros and cons of the solutions available to purchasing managers today, and find out which are the best cost reduction ideas. Many companies simply focus on reducing the cost, and cost alone. Often, this leads to the purchase of cheaper but poorer-quality materials. That’s the danger of these kinds of solutions, as it doesn’t take into consideration the hidden costs these packaging materials could bring, including returns, losses, breakages, and customer complaints. This is called the iceberg effect. An alternative would be to spend a little more on your packaging materials in order to rid yourself of the extra costs poor-quality packaging might cause you later down the line. 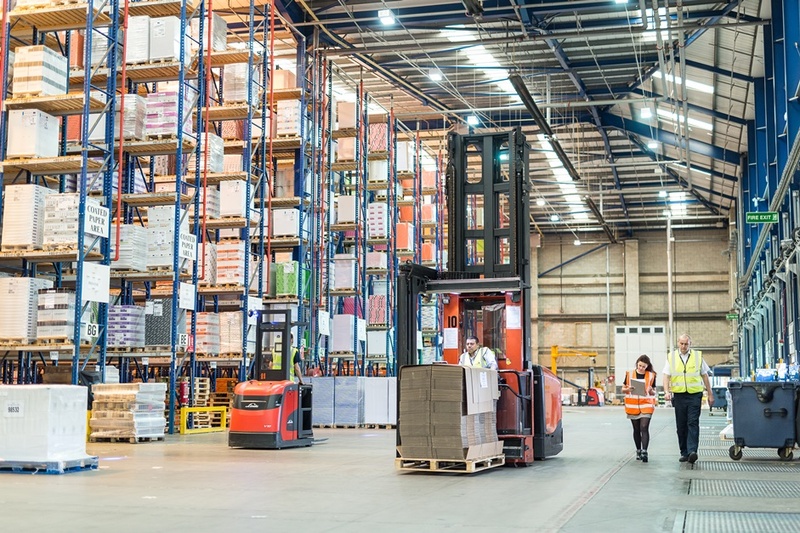 Upgrading the materials could promote better safety, more space in the warehouse, and faster distribution for your company. Ensuring your packaging perfectly fits your product not only promotes less waste, but is also a more protective and efficient way to transport your goods. Tailoring your packaging solutions specifically to your requirements is another example of spending a little extra to save in the long run. There are a number of automated packaging solutions designed to speed up the packaging process, freeing up workers to perform other tasks, and in turn reducing costs. This can be anything from an automated stretch wrapping machine, to box erectors and sealing machines. Where hand stretch wrapping a pallet might require two people, after introducing an automated stretch wrapper, the process will only require one. You can attempt to negotiate prices with your packaging supplier. But of course, there’s no guarantee that your supplier will agree to make a deal with you. However, some suppliers will throw in some additional free services, such as free audits, so keep an eye out for those! You could reduce the number of suppliers and get an all-in-one solution from just one place, often meaning you have one fixed price to pay instead of trying to stretch your costs out far and wide. By creating more space in your warehouse, you can improve pick/pack timings and on-site efficiency. Some traditional void fill systems such as polystyrene chips or conventional bubble wrap are bulky to store and hard to handle. Automated void fill systems such as paper or air based solutions are a great way to reclaim that valuable space. Getting an idea of the whole packaging and distribution process makes it easier to identify steps to ensure the process is as efficient and cost effective as possible. The best way to do this is to overview the process from the moment the item is picked off the warehouse shelf, right up until the customer takes it out of its box. This way, you’re a step closer to choosing the right materials to improve your packaging process, and make savings where you might not have known you could. It’s often seen as a bit of a pain to get secondary and transit packaging, but if you consider the cost of freight damage claims and pallet rejections, it’s easy to see why it pays off in the long run. There’s loads of solutions out there that can help you to avoid your items becoming lost, soiled or broken in transit. The best way to start is to build a stable and secure palletised load, which is especially important for automated warehousing systems where any slight shift in the load can lead to costly rejections. Anti-slip and interleaving papers between loads can also help to prevent slippage and increase stability, while corner and edge protection and cover films provide extra rigidity and protection from dust, dirt and rain. To save on the cost of replacing any items, you’ll need to take proactive steps to avoid items being tampered with in transit. This not only helps by pleasing the customer, but also saves on additional packaging, shipping costs, and time spend on trying to track items. A solution which might give you (and your customers) peace of mind is with self-sealing, tamper-evident closures, as well as branded tape printed with a traceable close which cannot be removed and replaced in the same way as brown tape. This also can make spot checks during the delivery process much easier and faster. Often, reducing packaging volume or weight to reduce shipping costs can be seen as risking the safety of the products inside. But it turns out that this isn’t necessarily the case. Thanks to innovative solutions such as reinforced stretch-wrapping films with integrated polyethylene banding, your packaging can have increased strength and performance, all while being thinner than standard heavy duty films. These stretch-wrapping films can actually stretch up to three times their normal length without compromising load integrity, delivering potential material cost savings of more than 40%. So, what’s your best bet? There’s a noteworthy common factor in these solutions, which emphasises the damages and losses that secretly eat at your profit margins. And whether the person receiving the goods is a trade buyer or a customer, it can also damage your reputation too; leading to profit losses. The main takeaway from this is that reducing packaging costs should never compromise product safety. If it does, you’ll be putting your business down a path which has lots of expensive obstacles along the way. If your challenge is to cost-effectively strengthen fragile cartons, then a stretch-wrapping solution using reinforced film could simultaneously deliver cost saving whilst improving load integrity. Alternatively, if you’re looking to reduce shipping costs by slimming down your packaging, you might go for lighter and less bulky void fill, or perhaps retention insert. The key is identifying these small process improvements, as it could help you to save hundreds of thousands every year, even where you might not have even thought!